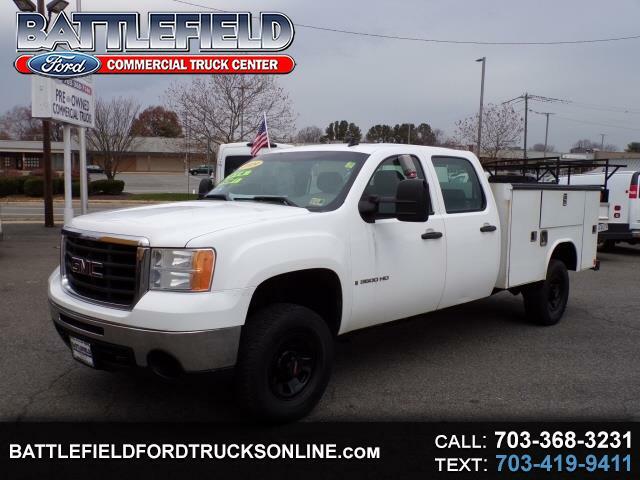 2009 GMC SIERRA 3500 CREW CAB 6.0 GAS 4X4. SERVICE BODY WITH 189017 MILES. This is a one owner vehicle and it has a perfect CarFax with no accidents or any other issues. It is in excellent condition as it has been extremely well serviced and maintained by its previous owner. Our shop has thoroughly serviced this truck and it has a fresh Virginia state inspection and emissions. We are one of the larger pre owned commercial truck dealers in the country. And we go the extra step to make sure our trucks are properly serviced prior to the sale. We aggressively price our vehicles to sell quickly in a competitive market. And we are happy to offer No Hassle No Haggle pricing. Dont delay in seeing and driving this truck. Give us a call for details and directions. Thanks for considering the Pre Owned Commercial Truck Department of Battlefield Ford in Manassas Va. Price does not include title taxes tags freight or $699 dealer processing fee. Message: Thought you might be interested in this 2009 GMC Sierra 3500HD.